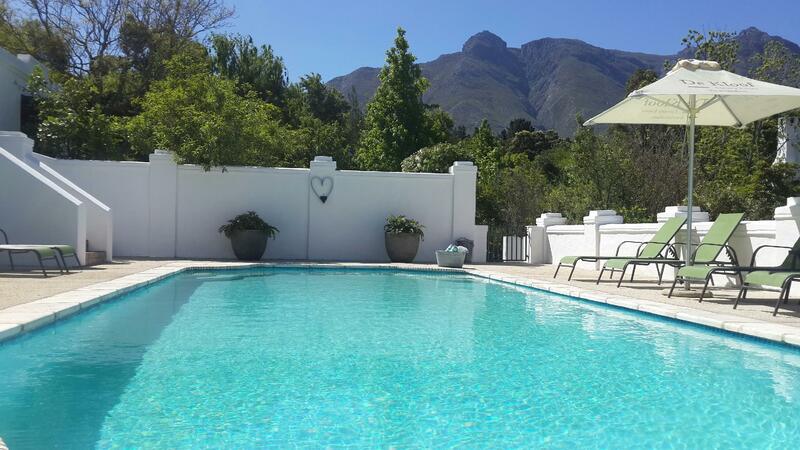 ﻿ De Kloof Luxury Estate Swellendam. JIMAT di Agoda.com! Ada soalan mengenai De Kloof Luxury Estate? Ketika melawat Swellendam, anda akan merasa seperti di rumah di De Kloof Luxury Estate, yang menawarkan penginapan berkualiti dan perkhidmatan hebat. Hotel ini terletak 220. Km dari pusat bandar dan menyediakan akses kepada kemudahan bandar yang penting. Bagi anda yang ingin pergi agak jauh, SwellenMark Shopping Centre, NG Kerk, Old Apostolic Church merupakan beberapa daya tarikan untuk pelawat. Di De Kloof Luxury Estate, segala usaha dilakukan untuk membuatkan tetamu berasa selesa. Oleh yang demikian, hotel ini menyediakan perkhidmatan dan kemudahan yang terbaik. Untuk menamakan beberapa kemudahan di hotel ini, terdapat Wi-Fi percuma semua bilik, Wi-Fi di tempat awam, tempat letak kereta, pengangkutan lapangan terbang, bilik keluarga. De Kloof Luxury Estate mengandungi 8 bilik yang dihias indah dan menawarkan televisyen skrin rata, pendiang api, linen, internet wayarles, internet wayarles (percuma). Senarai lengkap kemudahan rekreasi boleh didapati di hotel, termasuk tab panas, padang golf (dalam jarak 3 km) , kolam renang terbuka, spa, rumah urut. De Kloof Luxury Estate merupakan tempat yang ideal bagi penginapan pelancong yang mencari keindahan, keselesaan dan kemudahan di Swellendam. Umur minimum tetamu ialah 8 tahun. 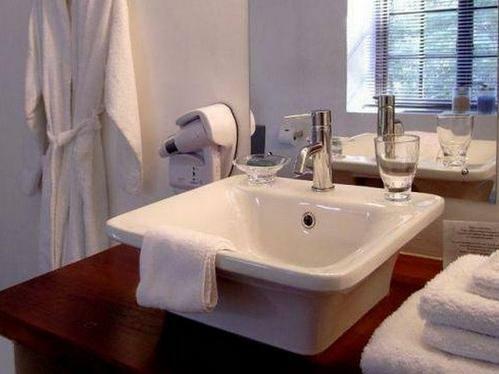 We stayed just 1 night in the Manor suite which was out of this world with a HUGE bathroom. We would stay longer next time as it was also a lovely hotel to relax in. We ate dinner in the restaurant which was very good. One minor improvement could be install a water cooler in the reception area so that guests could refill their water bottles rather than keep using plastic. Otherwise perfect! Our whole experience was fantastic, from the welcome to the room upgrade and the dinner. We really enjoyed our stay. A little bit more heating required. Really enjoyed our brief stay here. The hotel was small but beautiful and the staff were all extremely helpful. The food was was very good and plenty of it. I would happily return for a longer stay and explore the surrounding area. With little or no personal involvement of the owners. Mediocre diner , no taste. Time to retire and turn it over to the younger generation! We were greeted with great hospitality and personal attention when we arrived. This is a secluded peaceful place. Great mix of traditional cape dutch historic buildings and contemporary design. Large garden, beautiful plants, excellent dinner and breakfast with cooked breakfast. A beautiful place, very safe feeling. 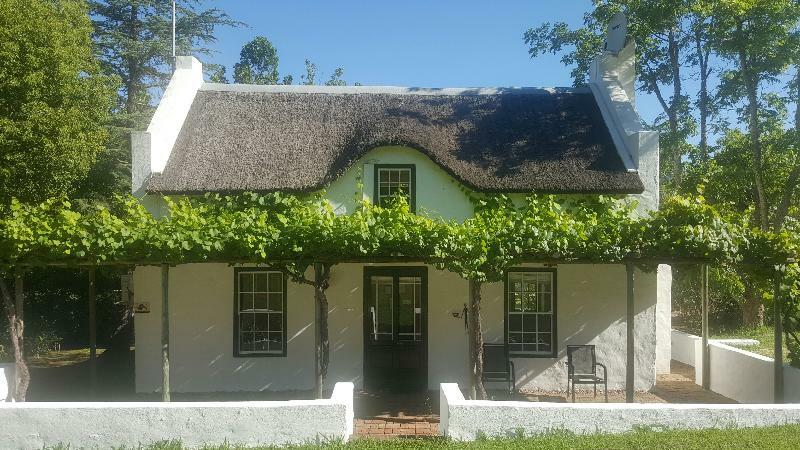 A great spot to spend the night when on the way from Capetown to the Gardenroute, but definately worth staying longer to visit the near by wineries. Complimentary small wine tasting was nice. When we arrived we were treated to a local wine tasting, with a De Kloof staff member carefully explaining each wine to us. Advice was offered regarding local restaurants according to our wine and food tastes. We were given a tour of the house and grounds which ensured that we could thoroughly appreciate our very beautiful historical surroundings. Our room was large and comfortable, with a bathroom almost as large as the bedroom area! Breakfast was superb. Ssparkling wine, fresh juices, yoghurts and a multitude of breads, pastries, local meats, cheeses, eggs to choose from. In a stunning location, this historic estate has enormous charm. The grounds are beautiful, with a lovely pool with amazing mountain backdrop. The room we had was part of the main Cape Dutch building, with all modern fittings and facilities. The service was very friendly and efficient. The breakfast was delicious and beautifully presented. Unfortunately, we could only stay one night - we will definitely return. 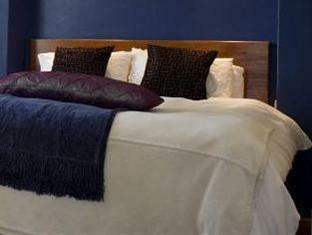 Rooms are very spacious and full of thoughtful touches. Hotel is well positioned and the hosts are not only friendly, but knowledgable about the restuarants and attractions in the area. greeted on arrival with a refreshing glass of orange juice and the registration paperwork already completed and ready for signing. our room was stylish and the bathroom was really spacious with his and hers vanities, a shower and full bath. a well stocked mini bar, but pricey. we enjoyed the complimentary wine tasting in front of the fire and discovered new wines from the robertson reason. prompting us to stop off there and buy the wines. 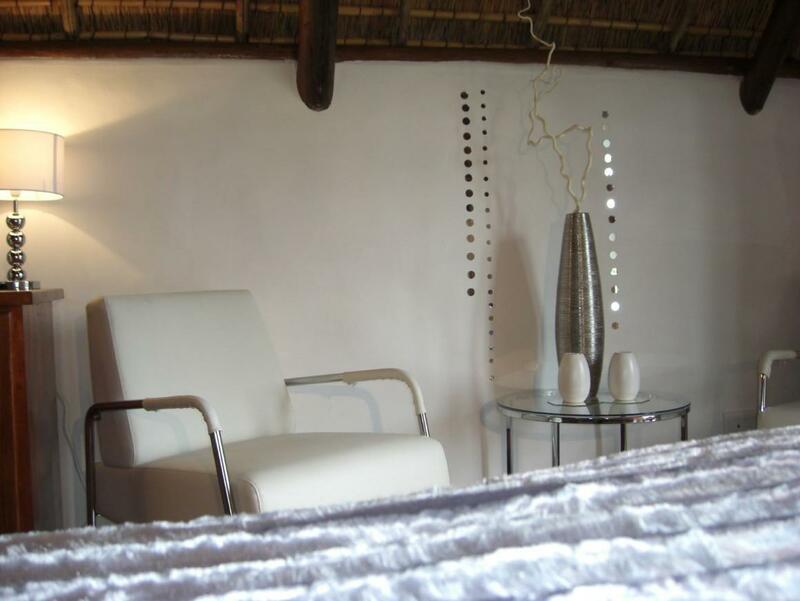 the rooms are nicely dotted around the lovely property that features a gorgeous pool and a soon to be opened spa. highly recommend this establishment and look forward to returning there soon! Extrem großes Badezimmer und sehr freundliches Personal! Man kann abends wunderbar im hauseigenen Restaurant essen. Das Objekt als solches ist wunderschön. Leider ist es schlecht instandgehalten und ungepflegt (Flecken auf der Bettwäsche, dicke Staubschicht in den Ecken des Zimmers, Poolliegen verschmutzt). Ein Grossteil der Einrichtung / Deko ist billigst und geschmacklos (weiße Ledersessel, Satinkissen mit Diamantapplikationen) und passt nicht zu der Reetdach Immobilie aus dem 19. Jahrhundert. Das Frühstück war gut. Das Personal mittelmäßig bemüht. Sehr nettes Spa und tolles Dinner. Wir haben unseren Aufenthalt sehr genossen. Das Zimmer war sehr großzügig und schön eingerichtet. Der Service war sehr gut. Einzige Minuspunkte waren, dass nicht auf unseren bei der Buchung angegebenen Bettenwunsch eingegangen wurde, obwohl es nicht voll war. Im Winter (Juli) ist die Heizung für die Größe des Zimmers nicht ganz ausreichend. Da wir jedoch die meiste Zeit die wunderschöne Umgebung erkundet haben und nicht im Zimmer aufgehalten haben, war es im Großen und Ganzen ok. Insgesamt ein toller Aufenthalt, danke! Sehr gelungenes familiär geführtes und luxuriöses Haus. Eine der schönsten Locations an der Garden-Route! Das Essen mit vorheriger Weinprobe war hervorragend in eleganter Atmosphäre. Wer es sehr entspannt und leger mag, dem könnte es auch ein bißchen zu viel sein. Netter großer Hund.